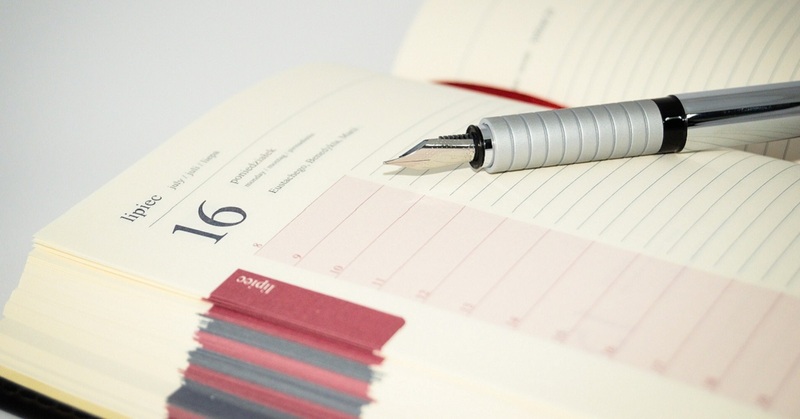 Find interesting themed activity ideas in the calendar below that you can use for your senior residents and easily add to your nursing facility's activity calendar. TIP: Click on the themes in the calendar box below to see more information about each weekly theme. TIP: Click on the following weeks of the month to see activity ideas for that specific week. Spend this week getting your residents ready for Groundhog Day to find out whether there will be six more weeks of winter. Begin the week by inviting residents to make groundhog shadow puppets for the upcoming Shadow Puppet Show with the grandchildren. For the project, assist residents with drawing different animals freehand or tracing animal templates onto cardboard before cutting them out. Then paint the animal shapes with black paint before attaching wooden dowels to create the puppets. Reminisce with residents about their past Groundhog Day traditions, and whether any of them ever traveled to Punxsutawney, Pennsylvania for the observance. Afterwards, share a few little known facts about Punxsutawney Phil. Pass out a nature walk sheet for residents to walk to the different large picture windows in your facility to look out at nature to find at least one thing that begins with each letter of the alphabet. Provide residents with pencils to write down what they find. Award prizes to those who find at least one thing in nature for every letter of the alphabet. Teach your resident how to make her own predictions by showing her how to use math to predict what number someone is thinking. Seat your residents at a table in front of a sunny window as you have them make shadow tracing art by tracing the shadows that are created as the sun shines through the windows. Provide residents with pencils and paper to trace what they see. Then provide residents with paint to fill in the sketches. Borrow the classic 1993 comedy film Groundhog Day from your local library for your resident to watch in her room. Encourage residents to bake groundhog cookies for your upcoming Shadow Puppet Show. Use aromatic ingredients for the recipe, including ginger, cloves, and cinnamon. Assist the men with creating fun pop-up cards to pass along to the visiting children at the upcoming Shadow Puppet Show. Use cardstock, glue sticks, and the printable templates from the website to create the cards. Help your residents celebrate the Chinese New Year – the Year of the Pig – with fun activities throughout the week. Begin the week by assisting residents with making Chinese fans using red cardstock, gold paint, glitter, and glue. Hang the finished fans as decoration. Reminisce with residents about their favorite Chinese foods to eat. Pass around photos of popular Chinese food dishes to see if residents can identify them. Invite residents to play the popular Chinese sport of table tennis in your Activity Room. To create a ping pong table, simply push two square tables together, and provide residents with paddles and ping pong balls. Assist your resident with baking fortune cookies to set out for passersby to sample. Ahead of time, print out several appropriate funny fortunes to slip into the cookies before they cool. Use halved potatoes to assist residents with creating stamped panda cards to send to loved ones for the new year. Simply fold a piece of cardstock in half and have residents stamp the panda heads on the front. Then once the paint dries, help your residents write well wishes inside the cards before sending them to family members. Since this is the Year of the Pig, stop by your resident's room with colored pencils and adult coloring pages of pigs for her to color and for you to frame as decoration for the holiday. Take your residents on a fun lunch bunch outing to your local Chinese restaurant. Encourage residents to try to eat a portion of their meal with chopsticks. Recruit residents to attempt to make their very own Chinese spring rolls. Beforehand, coordinate with Dining Services to provide shredded vegetables for your residents to roll in filo pastry sheets. After baking, serve the finished rolls with a tasty dipping sauce. Teach the men how to play pig dice for a Pig Dice Tournament. To play, pair the men together, and have the winner from each group play one another until there is only one person left – the Pig Dice Tournament Champion. Celebrate this week leading up to Valentine's Day by hosting a variety of fun activities for your residents. Start the week by showing residents how to make heart wreaths using yarn and cardboard hearts. Simply cut out heart shapes from cardboard for residents to wrap with colorful yarn. Hang the finished wreaths as decoration throughout your facility. Reminisce with residents about the types of flowers that they used to receive on Valentine's Day. Afterwards, pass around photos of flowers, and ask residents to try to identify each flower. Encourage residents to get their exercise as they walk around to find their perfect match during a valentine game. To play, pin names of people from popular duos on the backs of the residents. Then have them walk around asking one another "yes or no" questions to figure out whose name they have on their back. Once they have identified themselves, have them look around to find their match. Award a prize to the first duo to find each other. Enlist the help of your resident to make lollipop flowers to pass out as valentine favors to residents. For the craft, use colorful tissue paper, a hole punch, a stapler, lollipops, and floral tape. Prepare pink bubbles and heart wands for your residents to have fun blowing pink bubbles in the air. Take your residents on a fun trip to your local candy store to sample several of the delicious candies. While there, be sure to pick up chocolate bars for your upcoming Chocolate Tasting activity. Assist residents with making tasty conversation cookies to pass out to passersby. For the recipe, use heart cookie cutters, a sugar cookie recipe, and royal icing for decorating. Recruit the men to play a fun valentine relay game. To play, first divide the men into two teams and give the first person on each team a pair of mittens and a bowl of individually wrapped valentine candy. Next, have that person put on their mittens before taking a piece of candy from the bowl and unwrapping it. Once they have unwrapped the candy, they can then pass the mittens and the bowl to the next player on their team. Award a prize to the team who is first to have all of their participants successfully unwrap their piece of valentine candy using mittens. Recognize this Presidents Week as a fun time to incorporate a few patriotic activities in mid-February. Start the week by providing residents with small milk cartons, peanut butter, pretzel sticks, pretzel snaps, graham crackers, and thin wheat crackers to make their own log cabins to use as decoration for the week. Chit chat with residents about whether they remember the presidents on their money as you play a fun money game with them. To play, simply take out different bills and coins, and ask residents to identify the presidents that are on each. Draw a grid of squares on a large sheet of paper, and have residents pitch pennies onto the paper. In each of the squares, write in a prize that residents will win if they toss their penny so that it lands within the square. Assist your resident with painting mini presidential peg dolls that can be used as decoration for the holiday. Use peg dolls, paint, a black felt-tip marker, glue, fabric, and pipe cleaners. Invite residents to create their own Mount Rushmore by doing a crayon rubbing of coins. Provide residents with a quarter (George Washington), nickel (Thomas Jefferson), dime (Franklin Roosevelt), and a penny (Abraham Lincoln), and in that order, for residents to rub the imprint onto paper using a crayon. Assemble a few eagle cookies for your resident to sample. Use oval cookies, vanilla icing, shredded coconut, cashews, sliced almonds, and mini chocolate chips for the treats. Take your residents on a trip to a local historic landmark to learn about more about your city's history. Teach residents the Presidents Song so that residents can remember the order of each of the American presidents. Challenge the men to work together to identify the order of the American presidents. First, seat the men at a large table, and place photos of all the American presidents on the table for the men to work together to put them in order of presidencies. Use a timer to see how long it takes the men to arrange the presidents in the correct order. Celebrate this Oscar season with a fun week focused on movies. 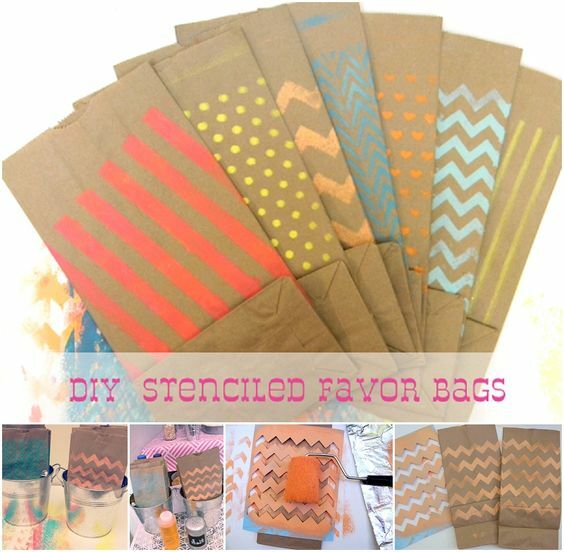 Start the week by recruiting residents to use their cool hands to make popcorn bags by using stencils on brown paper lunch bags that can be used throughout the week as residents enjoy popcorn while watching movies. Reminisce with residents about the good old days and the movies that they enjoyed watching. Then pass around several photos from classic movies to see if residents can guess the movie. Make sure residents do not blame their poor throws on the wind as you have them participate in a popcorn toss. To play, assemble popcorn boxes using a template. Then provide residents with real popcorn to see how many kernels they can toss inside of their popcorn box. Think gold as you encourage your resident to help you make gold Oscar statuette cookies during this Oscar season. Use sugar cookie dough, royal icing, cardboard, yellow and black food coloring, and gold sprinkles for the recipe. Recruit volunteers to help give your residents the Hollywood red carpet treatment as you brush their hair and give them manicures. Borrow a tablet to admire the jewelry and Oscar gowns of past Academy Award attendees. Encourage your resident to pick out her favorite gowns from the pictures. Invite residents to watch Hollywood stars who have made it onto the big screen by taking residents to your local movie theater to watch a movie. Entice residents to your Activity Room with the aroma of freshly popped popcorn as you host a fun popcorn bar for residents featuring a variety of different popcorn flavors. Use the popcorn bags that were made earlier during the Crafts activity. Schedule a fun western movie night for the men in your Activity Room. Ahead of time, survey the men to learn which westerns they would like to see, and then rent the movies from your local library or stream them online.